BLOG: our shops shine out! With numerous charity shops on our high streets, it’s important to stand out when it comes to attracting more customers. And we think our Drake City Centre shop has that extra something that enhances its kerb appeal! Thanks to City Council grant funding to smarten up shop frontages, the store now boasts attractive new signage that will be subtly illuminated after dark. 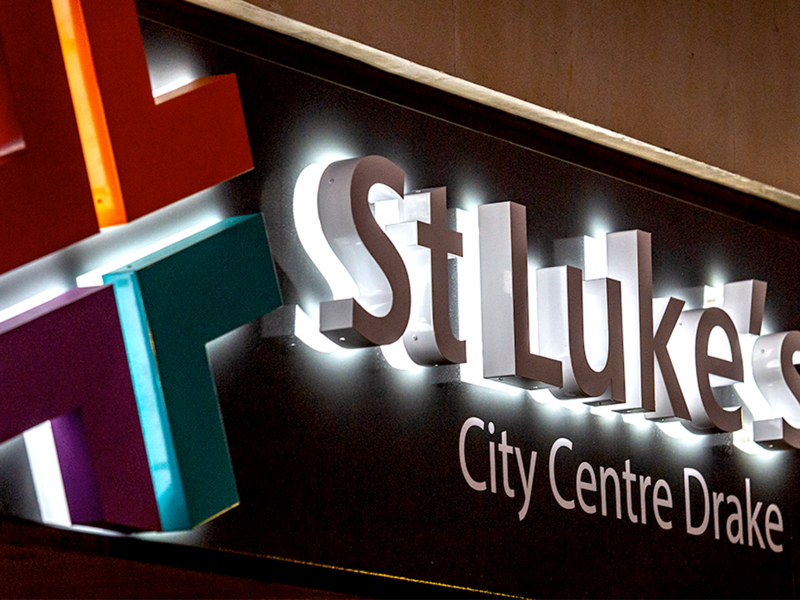 Take a look next time you’re in the city centre – or perhaps when you’re late night shopping for Christmas – and see our St Luke’s branding standing out 24/7. https://www.stlukes-hospice.org.uk/wp-content/uploads/2018/10/BLOG-DRAKE.png 773 1030 Robert Maltby https://www.stlukes-hospice.org.uk/wp-content/uploads/2018/04/stlukes-logo.png Robert Maltby2018-10-19 16:52:252018-10-29 12:11:49BLOG: our shops shine out!